In 1946 Tasmania Police’s Constable H. F. Hollis visited the Woolloomooloo Police-Rotary Boys Club in New South Wales. Launceston was home to a number of boys whose fathers had not returned from World War II and Constable Hollis was convinced that these boys would benefit from the mentored environment a Police Boys Club could provide. The club obtained the use of a room in Charles Street on the top floor of Sharp and Simmonds butcher’s shop at a rental of 30/- per week. An official opening was completed by Hon. The Attorney General, Mr R F Fagan early in 1947, and the first annual general meeting of the newly formed association was held on the 26th August 1947 with Inspector R R McArthur as Club President. Source: 1955 Report to the Commissioner: A brief resume of the founding and activities of the Launceston Police Boys and Girls Club. Membership grew slowly at first. In time, young people came to see the police officers involved as support mentors. Constable Hollis enlisted the help of a Mr Green to organise an Art Union raffle which provided a big financial boost to the club, and raised the profile of the Club. The club outgrew this space and moved to Margaret Street. Around 1951, a summer camp for the boys was run at Pipers Head. Although the accommodation was “initially very crude, a party of 17 boys were taken under canvas at Pipers Heads and all who attended had an excellent time” according to a report to the Commissioner in 1955. The report said that most of the boys had probably never had a holiday to the seaside. It continues, “With these thoughts in mind the committee of the club decided to try and obtain an area of ground at Piper’s Heads for the express purpose of establishing a permanent camp where the boys could be taken during holiday periods. Accordingly a sub- committee consisting of Messrs J Huston, SC Stewart, C Willes and our Chairman Mr TA Canning visited the (sic) Pipers the area on which the camp now stands. The necessary application was made to the appropriate authorities and the land was rented by the club for a fee of £1 per year. 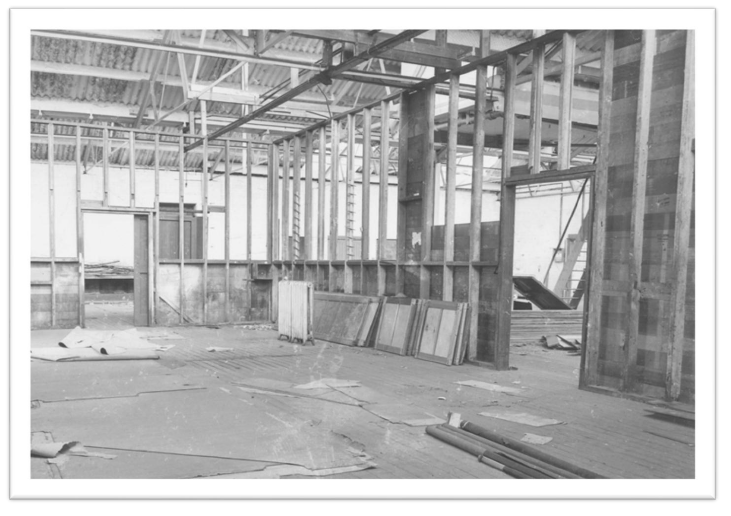 From that time on the club grew very quickly and permanent buildings were commenced in 1953 and completed around 1955, by almost completely volunteer labour, and with a large quantity of materials being donated by various firms and individuals. Around 1953 application at that time was made for another 3 acres of land to be developed into a playing area the boys. Having had the experience of leased clubrooms in the city, the committee had the foresight to purchase this property for £750. An amount of “£600 was granted by the government which, once spent would provide a very nice set up where the boys can enjoy a number of amenities”. the establishment of a building fund to purchase a building specifically for the club. He notes that the Club had between £1500 and £2000 in assets and equipment, and how heartening it was that the young people were very keen to be involved. The youth had even taken it upon themselves to find new accommodation at the Invermay Youth Centre in Forster Street for 10/- a week. The Commissioner of Police was very supportive of the Police Club model and the positive work that was occurring including the civilian volunteer support. Superintendent of Police, Mr T A Canning assumed the role of chairman of the club. 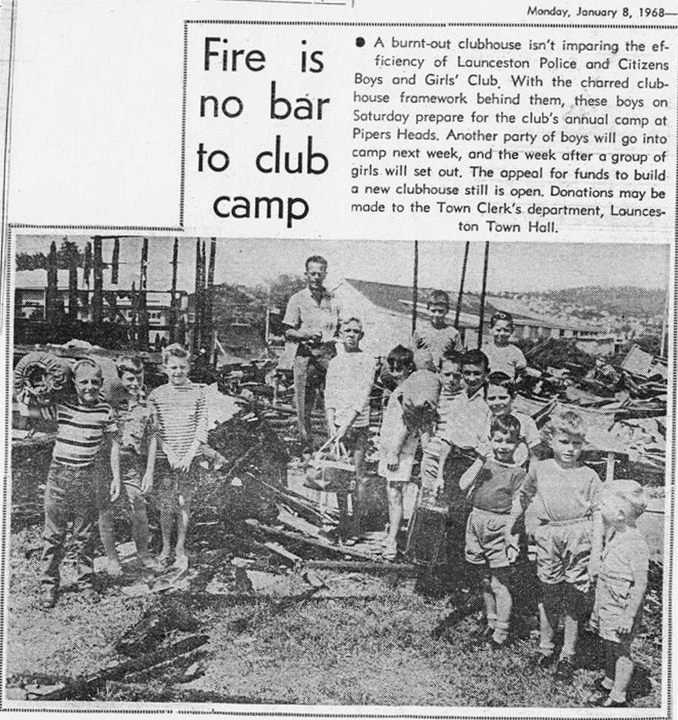 At some stage around or before 1955 the club’s name changed to Police Boys and Girls Club, Launceston as indicated in the 1955 Report to the Commissioner. “it is realised by the originators of this club, as well as those members who are now on the committee, that without the help they have received from the pubic generally the club would have ceased to function and without wishing to minimise that help it is felt that opportunity should be taken at this stage to say thank you to a few of those people who have given of their time and energy to the furtherance of the club’s ideals; that is the production of good honest boys and youths who will in later years , we hope, be able to say “We were members of that club” . With these in mind a mention must be made of a woman who on more than once occasion has been referred to as the mother of our club “Mrs McIntee. Without her continual help and advice we would have been hard put to it at various times, and of course we must not forget her good husband (Mr McIntee) who has always been a willing helper with our work. The other whom we should not forget are Mr & Mrs Huston, tireless workers for any good cause, Mr & Mrs Welch who on the occasions of our Button Days and the running of our Art Unions, have been of enormous help. Mrs Grounds and Mrs Cunningham who on the occasion of our last camp shared with Mrs McIntee the duties of cooks and bottle washers, and really enjoyed doing it. There are of course other helpers far too numerous to mention to whom we must give a terrific amount of credit, and to them also we say to thank you. There are various public bodies such as the Penguins, Rotary, Inner Wheels, and Apex Clubs who have come to our assistance on a number of occasions and who we know would be only to willing to help us whenever necessary. Finally those people who have direct contact with the boys in our club are the instructors who without fear of contradiction have a very difficult job to perform. When it is realised that the club enrollment is now in excess of 100 boys once can well imagine the big task is to control them and as a consequence it has been found necessary to divide them into three groups, each group having its own night at the club, and taking it in turns to be taught such things as boxing, wrestling, springboard and horse work, and other general gymnastic work. The person referred to above was Club Superintendent Mr Clarrie Dabner, and he had a young constable as Second on Charge, Mr Ashley Brain. 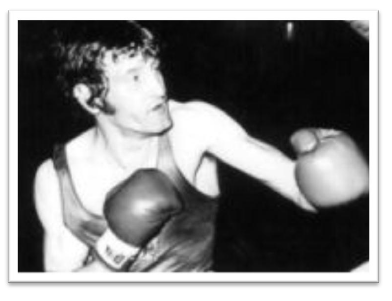 Boxing was a major draw card and we are told that many champions trained and represented the club at all levels including Wayne Devlin who won eight back to back Australian Boxing Championships. 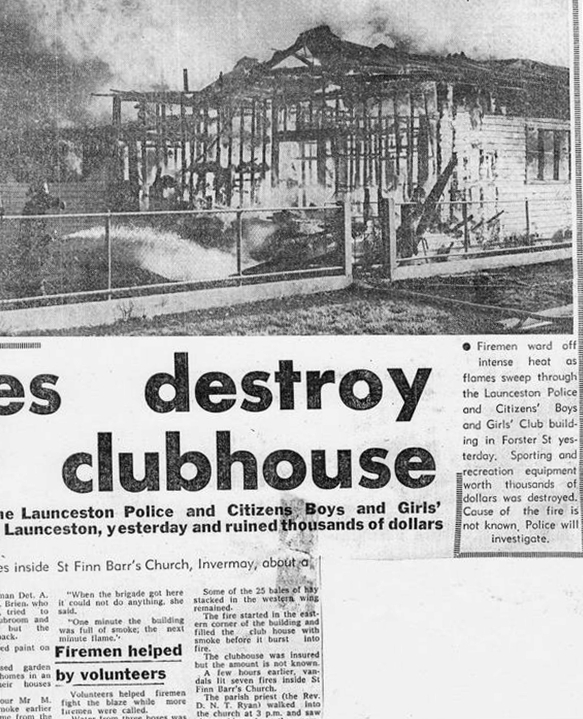 On Christmas Day 1967 the Police Club’s leased premises destroyed by Fire. News articles say that vandals lit several fires in the building. The club was insured for a limited amount but lost all its equipment. 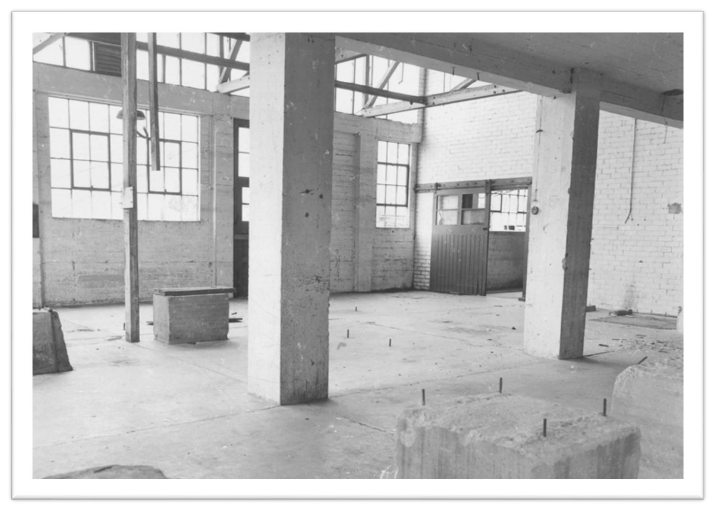 New premises were sought with the club being temporarily situated in the Alfred Harrap Building, which today is part of the City Park Grand building, at 22 Tamar Street. The Alexander Racquet Factory in Newstead was identified as a good site for the PCYC’s new home. There were a number of housing commissions houses in the area, and unemployed youth at the time. The Tasmanian Government Insurance Company paid out in full for cover of $12,000 on the building, and $3000 on the equipment from the burnt out site. Ongoing fundraisers were run. Mr Bob Thompson joined the PCYC Board after a 3 year stint marketing butter in Europe. He worked as the Public Relations and Promotions Officer for TNT Channel 9 television station. He negotiated that PCYC would be the station’s charity for the following year, and also negotiated a car to be donated for an Art Union Raffle. The Mayor also held a fire appeal which raised $2000. In recognition of the good work PCYC was doing with young people, the Police Commissioner, Mr PW Fletcher, met with Launceston City Council 26/2/68 to gain approval for the rezoning of the building for use as a Youth Centre The Commissioner approached Premier, The Hon. EE Reece and Mr Oliver Gregory MLC to request the balance of funds for the purchase building. The asking price was $42,000 and the GV was $110,000 at liquidation but this was before the vandals had done extensive damage to the building. The Commissioner approved Kevin Langdon to begin negotiations Mr O’Connell who was acting for Layh, Hart , Room and Hyland, the liquidators. The repairs to the building were quoted by Government Architect Mr Underwood to cost $32,000 to $35,000. 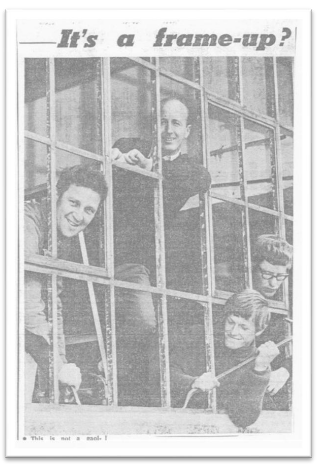 On the 13th August, 1968, the Tasmanian Government purchased the Alexander Racquet Factory on behalf of the Police Department and the club finally had its own premises under the management of Club Superintendent Kevin Langdon. The cost of building purchase plus initial repairs eventually cost in the vicinity of $70,000 to $77,000. The building had been derelict for a number of years and was in very bad condition. Tenders were put out for a builder to “reconstruct” the Factory to be fit for use as a Youth Club. Volunteers also worked many hundreds of hours to renovate the club to a point it could be safely utilised. Debris had to be removed, windows replaced, floors replaced then sanded and polished. And he went on to thank the Tasmanian Government for the purchase of the Alexander Racquet Factory. He wrote “These premises are in the course of reconstruction and it is envisaged that when completed, we will have the finest youth club in Australia. We anticipate in the very near future our club will be catering for 1000 girls and boys each week with many additional activities that will appeal to a wider section of youth. A feature of our club grounds will be the first Road Safety Instructional School for children in the State. This will occupy an area of approximately half an acre and is being donated by the Launceston Lions Club at an approximate Cost of £10,000”. He also writes of the fundraising they have undertaken including the operation of a refreshment booth and stand at the Launceston Agricultural Show, staffed by the PCYC Ladies Auxiliary. The booth was built with wood reclaimed from the Alexander Factory. The display featured a new train (track) layout and a number of new trains replacing those burnt in “our” fire. This was built by Mr Ron Stevens and his son and Secretary Superintendent (K Langdon). He also wrote of gymnastics classes restarting in the temporary premises on Saturday mornings, and the running of three Christmas camps for underprivileged children (2 x1 week camps for boys and 1 x1 week for girls). The annual report thanks the club community and volunteer supporters. Tenders were in the process of being called and would see the completion of reconstruction of the Wentworth Street site by early 1969. Kevin Langdon developed a Weight Training Area and a Dojo which was occupied by the Newstead Judo Club. Kevin commenced a Gymnastics Group, Basketball, Indoor Cricket, Indoor Bowls and a Seniors Group. Kevin’s wife Brenda Langdon also began to teach Gymnastics, Calisthenics Dance and other Dance Groups at the club. As the years went by the club modified rooms to accommodate the activities. Trampolines were built into the floor to accommodate this activity. Len Scambler and his Aikido participants built a new Dojo downstairs in the Weights Room. A room was modified to allow the showing of movies onto a big screen, and a projector room was set up with comfortable seating for the person running the projector. Len’s son Paul Scambler would also become a Head Aikido Instructor and volunteer for the club, including the role of President of PCYC. Both Len Scambler and Paul Scambler became Life Members of the club. Two foam pits were installed for Gymnasts to practice bar, vault and tumbling skills. One was under an inbuilt trampoline which had to be winched up to use. Kevin Langdon’s Gymnastics Group became the best in Tasmania and they represented the club at a number of mainland competitions. A number of champions came out of the club including representatives at the Commonwealth and Olympic Games. 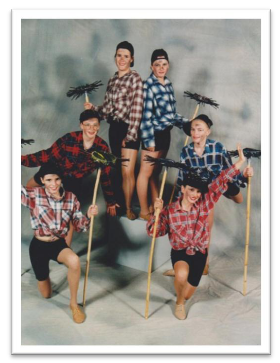 A Dance group soon took to the polished floorboards under Mrs Langdon’s instruction, and entered the Launceston Dance Competitions achieving great levels of success. Competition Judges often reflected on the prowess of the instructors and dancers. Alan Reaney and his son Terry, volunteered at the club taking the Air Rifle Shooting Joe Soccol and his son Daniel taught Fencing. On Friday nights Mr Langdon and a group of volunteers put on “Friday Night Boys” which often saw 60 or more boys attend the club to use the Trampoline & Gymnastics Room for fun challenges and games. The Langdon’s also hosted an annual 3 week summer camp at Weymouth. The Langdon’s developed a tiered movie theatre in the area which is now the Dojo. to show at special Sunday session movies or at Friday Boys Night. 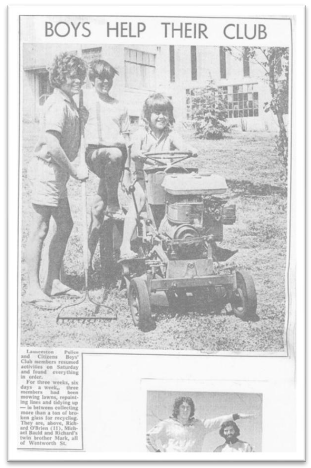 Around 1975 Constable Langdon applied successfully for a Regional Employment Development grant. With this grant, the building was painted both inside and out and all necessary repairs were carried out. At the time, a number of Federal Ministers who visited the project, described it as the most successful scheme they had seen anywhere in Australia. In 1984 Constable Langdon again applied for a grant under the CEP to continue the club facelift and seal the car park. In his 1985 report Constable Langdon wrote “ I think that since we moved into the Alexander Racquet Factory building, the club has seen its most successful years. The club has not only been an influence on the children of Launceston directly, but indirectly on the State as a whole. We formed the State Weightlifting Association, the State Trampoline Association, the State Gymnastics Association and the State Association of Police and Citizens Youth Clubs. He wrote that the club had been very successful at the Launceston Competitions, having won Champion Group for the previous 16 years. 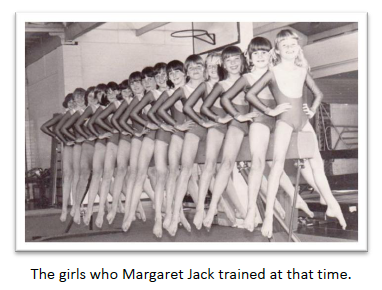 The club had also never been beaten at the State Gymnastics Championships and had produced Gymnastics representatives at State, Australian, Olympic and World Games levels. 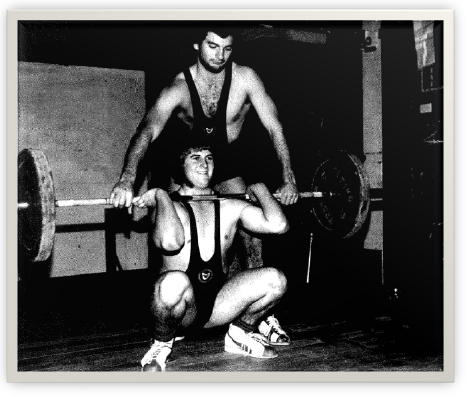 In 1985 PCYC had three athletes training at the Australian Institute of Sport. Around 1986/87 the Newstead Judo Club, under Ray Chell and the Newstead Jujitsu Karate Club under Alan Muir moved from Fred Suitor’s place on Punchbowl Road to the PCYC Launceston Dojo, sharing the space with Len and Paul Scambler’s Aikido Club. All of these instructors volunteered their time to teach martial arts and mentor young people at PCYC Launceston, each building a successful club in their own rights. Constable Kevin Langdon retired from the police force and PCYC Launceston in 1988. His wife, and club matriarch, Brenda Langdon retired a few years later. The Langdon’s had been a huge part of making PCYC Launceston what it is today. And their participants considered them more than just instructors. They were family. Many people remember and comment that these days at PCYC were the best of their lives and the Langdon’s were their second parents such was their mentoring and support of these young people. After Constable Kevin Langdon’s retirement, the Club Superintendent’s role was filled by Senior Constable Tony Grundgeiger. Around 1990– 1991 Tony Grundgeiger was supported by Constable Gavin Smith, and civilian public servants who filled the roles of Assistant Superintendent, overseeing club administration and coaching gymnastics. Constable John Cramp had been associated with the club as a PCYC Board Member since around 1981 when Police Superintendent Geoff Ling was in the role of President, and Kevin Langdon as Club Superintendent. Later he became senior vice president with Terry Brooks and soon after Tony Gruindgeiger became Club Superintendnet with Eve Thorpe as President. In 1992, Tony Grundgeiger returned to Police Duties and Constable John Cramp began his tenure as Club Superintendent. During John Cramp’s tenure at the club he moved the club from a paper-sign in system to a Membership Database, and he and Lance Barnard secured Federal Government funding for the basketball stadium, a canteen and offices seeing this project to completion. Because the Alexander Racquet Factory was Heritage listed, the building was not allowed to be placed up against the heritage building, so there is a one metre buffer between the buildings except where they adjoin in two areas. This extension was completed and opened by Silvia Smith MHR and Frank Madill, (now) Minister for Police & Emergency Services on 15th August, 1995. During the early 1990’s Max O’Toole’s daughter Anna was training in Gymnastics. Max began going to the Weight Gym while Anna trained and eventually became a Power Lifting Volunteer Coach at PCYC. His wife Christine O’Toole joined Jan Jones signing people into classes and manning the canteen. In the years that followed Max would also develop and build a Seniors Fitness program including functional Weight Training, Fitness development and other fun activities to keep them engaged and keep them in their homes longer. In 2016 Max and Christine are still at the club taking Seniors Fitness with over 80 people aged 55 to 95yo. Three nights a week Max also coaches Power Lifting (Power Lifting History below) and keeps an eye on the gym. In August 1998 Constable John Cramp was transferred from the club, and Constable Peter Goldstone-James began his tenure as Club Superintendent. In 1999 Peter introduced a Rock Concert on the 4th Friday of every month, which saw new and increased participation by local youth. Music was provided by high school and college bands, and attended by their peers. Constable Goldstone- James worked with 2IC Constable Burton. When Peter Goldstone-James later left the club he was replaced by Club Officer, Constable Phil Smith and 2IC Senior Constable Scott McKinnell, as well and a Police 2IC prior to that Constable Dale Cook, better known as “Cookie”. In 2007 Tania Visser did a month’s volunteer work then was offered a part-time position under a Disability Placement Program. Tania’s father was a police officer so she had a good understanding of the police club’s work. When the Disability Program finished, Tania stayed on at the club and oversees the Seniors Program entry fees and other administrative roles. Senior Constable Peter Riggall became the Officer-In-Charge (OIC) of PCYC Launceston during 2009 and 2010. Peter’s 2IC’s were Constable Marcus Williams, and then Senior Constable Michael Mitchell. In 2013 Senior Constable Rigall retired from policing and his position was filled by Senior Constable Ross McIvor. Senior Constable Ross McIvor was the Club’s Officer in Charge from 2011 until 2014. In 2013 the Police Department experienced state-wide budget cutbacks, which meant they needed to review the level/kind of support they were providing PCYC’s around the state. Under the agreement TasPolice would provide a partial subsidy for the club to employ a Club Manager to manage the logistics and operations of running a Recreation Centre, instead of providing a 2IC Police Officer or public servant administration position. The Club Manager would now manage the financial affairs for the club. The OIC would be freed up from the day to day operations tasks and instead would work only with Youth at Risk within the club and wider community. Kath Hawkins gained the role of Club Manager towards the end of 2014 until Bec Reedman took over in February 2018. Launceston PCYC currently has one FTE Club Officer, shared between Constable David Simpson and Constable Skye Thompson and continue to offers a wider range of classes and activities as well as targeted programmes for Youth at Risk.